An all Swedish trio of Volvo, POC Sports and Ericsson have teamed up to produce “an innovative safety technology connecting drivers and cyclists”, with the connected tech set for an official unveiling at CES 2015 in January. 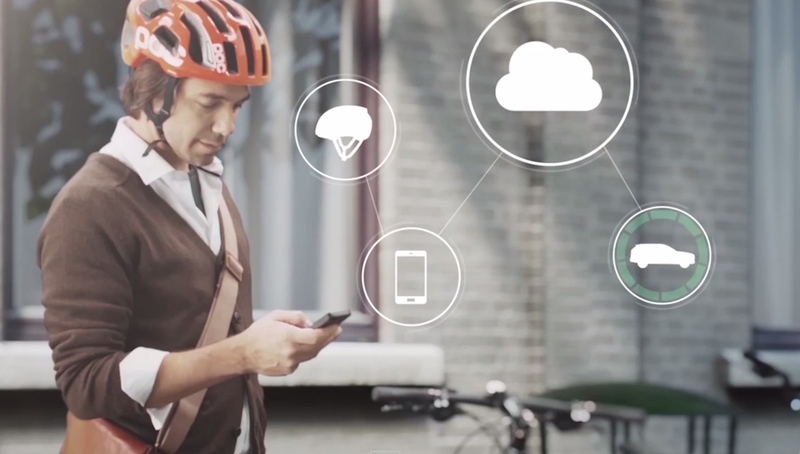 The premise of the Volvo Cars’ City Safety system is fairly straightforward: a POC produced helmet, containing Bluetooth, connects to a smartphone app like Strava and broadcasts a cyclist's position. Volvo XC90 cars will have connectivity with the system built in as standard, allowing drivers to be warned of a cyclist’s proximity, keeping them safe even if they are hidden in blind spots. “The partnership between Volvo Cars, POC and Ericsson is an important milestone in investigating the next steps towards Volvo Cars’ vision to build cars that will not crash,” explained Klas Bendrik, VP and group CIO at Volvo Cars. It’s a simple idea and, if the location tracking is accurate enough, one that could potentially save hundreds of lives. It’s also yet another example of how Volvo is embracing the wearable tech revolution – it recently offered virtual test drives for the XC90 in its dealerships using a Google Cardboard app.